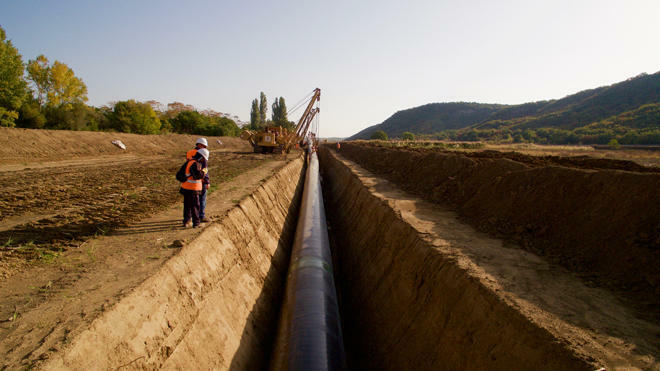 Trenching has been completed on approximately 98 percent of the Trans Adriatic Pipeline (TAP) route in Greece and Albania, Trend reports citing a message from TAP AG consortium, engaged in construction of the pipeline envisaging transportation of Azerbaijani gas to Europe. “Trenching is now complete on around 98 percent of TAP route in Greece and Albania (more than 758 kilometers out of 765 kilometers in total). The pipeline is then buried at least 1 meter under the ground and will therefore be invisible,” said the message.